If you are a true K-drama fanatic, you know that tvN’s newest drama “Mr. Sunshine” is THE talk of the town right now. From its impressive lineup of actors that includes Lee Byung-Hun and Kim Tae-Ri, even the paid product placement in “Mr. Sunshine” has gained much attention from the public. Furthermore, Kim Eun-Sook from “Secret Garden” and “Guardian: The Lonely and Great God” wrote the script, so if you are not watching it, well, you are definitely missing out. I also had high expectations for the drama myself, even before it premiered. Of course I was intrigued by what kind of story it will tell, but I was mainly engrossed by the fact that my all-time favorite actor Byun Yo-Han was appearing as one of the main characters. However, as I watched the last 4 episodes, I couldn’t help but to wonder what the main intention of the drama is. If you type in “Mr. Sunshine” on popular search engines, they all list it as a Sageuk drama, meaning it is historical. Meanwhile, I continue to spot a few misinterpretations of the actual history. In fact, the drama has enliven the historical pain of Koreans so much that many are doubting this was actually written by a Korean. So, my question is: What message does “Mr. Sunshine” hope to deliver to its audience? On July 16, a national petition entitled “take strict measures against dramas and films like “Mr. Sunshine” that distort history” popped up on the Blue House website. The following day, the petition had already gained signatures from over 10,000 people. We are all thinking: What ticked off Korean netizens this time? The petitioners were arguing that tvN’s “Mr. 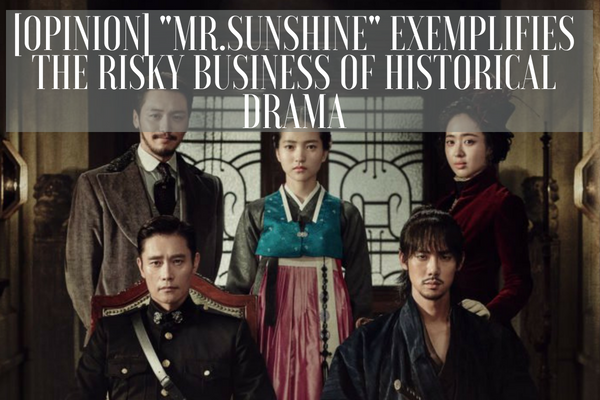 Sunshine” was distorting the history by romanticizing the pain of Koreans during the Japanese Colonial Rule. More specifically, they were furious at the character Goo Dong-Mae, portrayed by actor Yoo Yeon-Seok. In the drama, Goo Dong-Mae appears as a son of Korean butcher, who manages to escape the brutal and harsh childhood, thanks to the main female protagonist, Go Ae-Shin (Kim Tae-Ri). He ultimately returns to Joseon (Korea) as a Japanese gang member – a part of Black Dragon Society. The problem was that the drama portrayed Goo Dong-Mae as a rather attractive and a character with much charm. The Korean netizens worried that this character beautified the pro-Japanese stance from the past, which is far from what actually happened in history. In addition, they argued that incorporating an “inevitable background” to a character who was a clear antagonist in a historical sense when the victims still exist in the present day, is extremely offensive. However, Goo Dong-Mae wasn’t the only thing “Mr. Sunshine” had failed to depict truthfully. 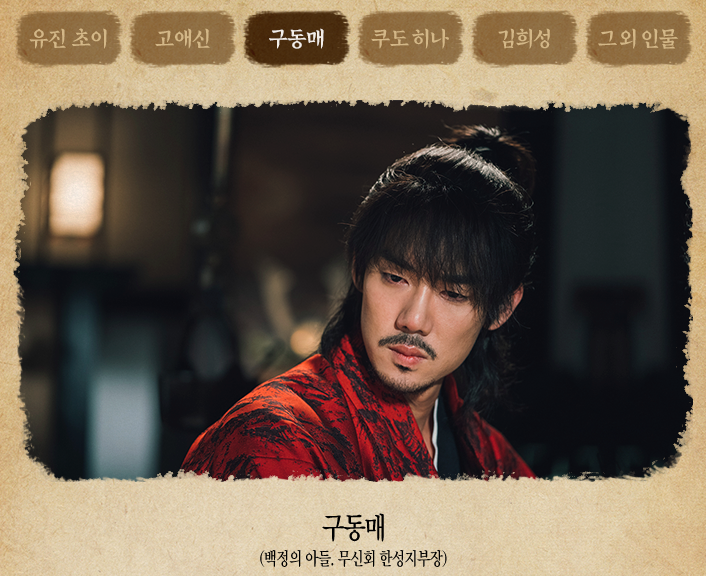 From the beginning, the character Lee Wan-Ik (portrayed by actor Kim Ui-Seong) continues to “sell” his country to whoever is willing to negotiate with him. At first, he pokes at America, but when America shows that it has no intention of invading Korea, he goes over to Japan. Ultimately, the drama suggests that it is Korean who voluntarily offers the Japanese to “give” their nation. On the contrary to what actually happened, “Mr. Sunshine” portrays Japan as a country that simply accepted an offer given by Korea. : the fact that it was an “one-way invasion” from Japan. At this point, we need to be aware that “Mr. Sunshine” is not only airing domestically, but also internationally, thanks to Netflix. This means that everyone who is interested in K-dramas is watching “Mr. Sunshine” right now, even those who may lack knowledge in history of South Korea. Furthermore, we suspect that there will be a much attention from the Asian countries, especially Japan. Therefore, it is important that we depict the history as truthfully as possible, and portray the historical damage and pain that we as a country received from a historical event that actually happened. The romance between the characters is fictional, yes, but the background and the time period in which the drama is set is non-fictional. However, what “Mr. Sunshine” had shown so far makes me doubt. In fact, the drama almost suggests that Korea, with its hierarchical society, brought whatever happened to them on themselves. Because Goo Dong-Mae was born into a peasant family, he had to escape to a better place that is Japan. Because Lee Wan-Ik saw no hope in the country that had done nothing but kill his own siblings (from starvation), he had no choice but to “give” the country to someone else to rule. Why are Koreans the antagonists in a drama that narrates Korean history? If this beautification and misinterpretation continue, it will begin to diminish the severity of the problem and heaviness of history, ultimately erasing the truth told from the victim’s point of view. Writer Kim Eun-Sook indeed deserves a round of applause for challenging herself outside her comfort zone, that is romance drama. However, as much as we love her writing, she needs to understand that there follows a heavier responsibility when it comes to creating a historical drama. While fantasy and romance dramas such as “Goblin” allowed her to tell stories from her perspectives with her imaginations, historical dramas are rather different. She needs to accompany her story with fact-based history, that also does not ignore the general sentiment. Both writer Kim Eun-Sook and “Mr. Sunshine” need to be aware of their influence, and take on more responsibility.